The annual 2017 World Luxury Hotel Awards was held on the 2nd December in St Moritz, Switzerland where Treasury on Collins in Melbourne was announced as the winner of the Best Luxury City Hotel. Established in 2006, World Luxury Hotel Awards is the pinnacle of achievement in the luxury hotel industry offering international recognition as voted by guests, travellers and industry peers alike. Over 300 000 international travellers vote each year, during a four-week period to select the winners. 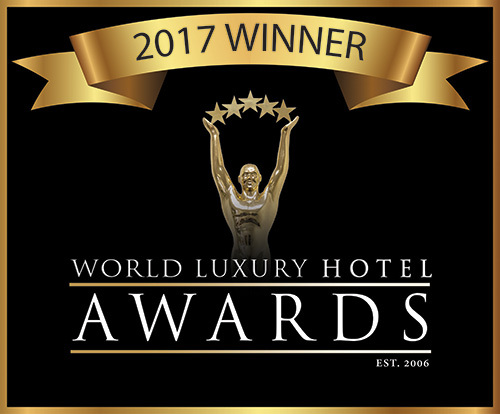 Luxury hotels have the opportunity to participate in the World Luxury Hotel Awards by entering hotel categories that showcase their unique selling points and destinations. ‘We are extremely delighted to win this prestigious award. It is a tremendous feat for an establishment that has only been operating for less than five years.’ Scott Horn, General Manager said. ‘It is the hard-working dedicated staff from front office to back of house that I attribute our win to’ Executive Manager Amanda Ruffels added. ‘Thank you to all our guests and peers who voted and we will continue to offer our guests a unique hotel stay in the heart of Melbourne’s CBD’ Horn continued.